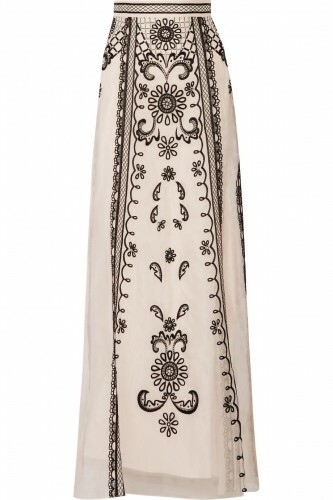 This maxi skirt by Tempelrey is in a pastel-pink silk-organza with light-catching crystals and intricate black crochet trims - one of the label's signature techniques. Fully lined, this flattering style is cut in a maxi silhouette and designed to sit at the narrowest part of a woman's frame. 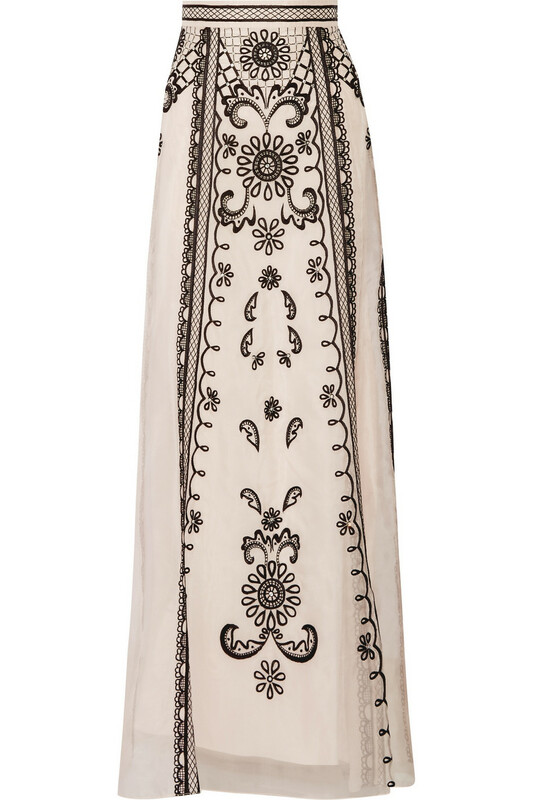 Kate wore it while on tour in India. Retail: £1,995.